A very happy 2018 to you. Thanks to the increasing pace of digitization Quali experienced a significant growth in 2017, as innovators worldwide began using sandboxes to accelerate their dev/test cycles, improve productivity and get cost efficiencies across public, private and hybrid clouds. It was a year of innovation, growth and market penetration setting a firm foundation for us to deliver even more value this year. 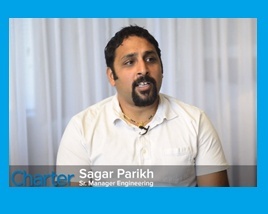 We’d like to thank our customers, partners and our employees and are grateful for the relationships we have built. Our gratitude. 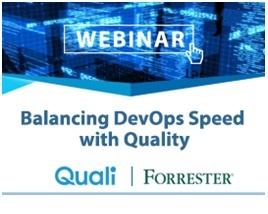 [On-demand webinar] Case Study – how a $10B Retail Enterprise Transformed DevOps – Learn how a global traditional enterprise business transformed their DevOps practices and now releasing software faster. 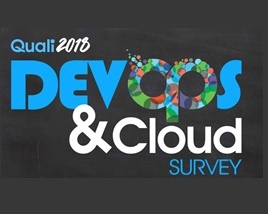 10 Top DevOps Barriers and Trends Forecasted for 2018 There will be increase recognition in 2018 on continuous testing as a critical component of the CI/CD pipeline with quality becoming paramount as deployment scales. New DevOps plugin for CloudShell: TeamCity by JetBrains - Read Pascal Joly’s blog & learn how TeamCity plugin can help DevOps teams to integrate CloudShell automation platform and JetBrains TeamCity pipeline tool. TeamCity Plugin Development Journey - Tomer Admon, R&D Team Leader at Quali wrote an interesting article that intended for developers who wish to perform 3rd party integration with TeamCity. Join Shashi Kiran, Quali’s CMO, presentation “Striking the right automation balance on Quality Assurance – Speed vs. Risk“. February 21 at 1:40PM. Visit our booth and meet with our expert. Quali will be a Platinum sponsor at TISQA conference. Join Hans Ashlock, Director of Technical Marketing speaking “Shifting Left While Maintaining Agility with Sandboxes” visit our booth & ask for a demo. 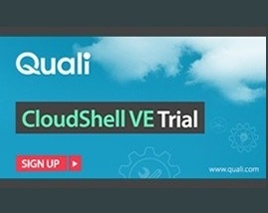 Quali will exhibit at Cisco Live Melbourne, we will be showcasing Quali CloudShell platform.